Long gone are the days when dyeing your hair in the color you want involved frying your hair with harsh chemicals. A decade ago, coloring your hair usually meant you're left with extremely damaged hair, but that's no longer the case today. Arctic Fox Hair Dye, one of the fastest growing names in the world of hair dyes today, is proudly made of 100% vegan ingredients, and gentle on all types of hair. 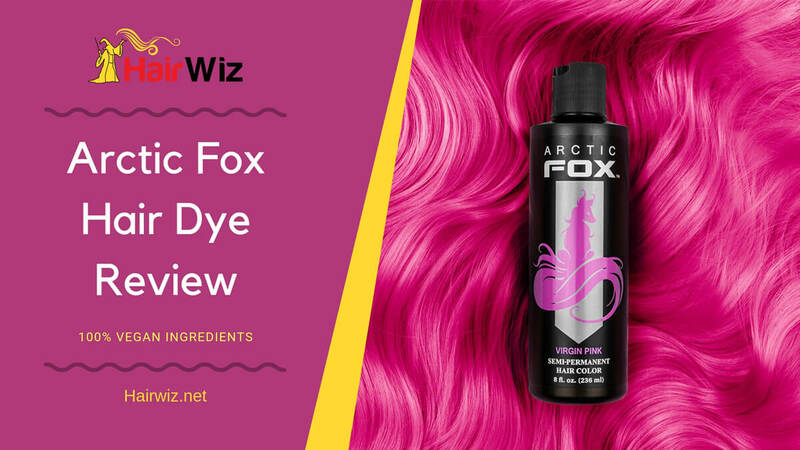 Among the many hair dye brands that make your mermaid hair dreams come true, Arctic Fox stands out by being cruelty-free, gentle, and offers the most vibrant colors in the market. Colors are 100% vegan and cruelty-free, use non-GMO plant based protein ingredients! 2 What is Arctic Fox Hair Dye? 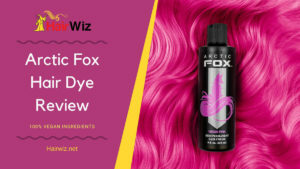 3 How to Use Arctic Fox Hair Dye? 5 Who is Arctic Fox Hair Dye Good For? What is Arctic Fox Hair Dye? Arctic Fox Hair Dye is a line of hair dyes offering vibrant, vivid colors. Founded by animal lover Kristen Leanne in 2014, the brand was conceived after Leanne's own search for vegan and cruelty-free hair dyes turned futile. After two years of research and development, she finally launched Arctic Fox in 2014. The hair dyes are semi-permanent, 100% vegan and cruelty-free, use non-GMO plant based protein ingredients, and because Leanne herself is a devoted animal lover, 15% of the profits is donated to organizations that help stop animal cruelty. There are about 19 colors available, each with unique names offering different shades of green, blue, orange, pink, purples, black, and grey. How to Use Arctic Fox Hair Dye? Just like any other hair dye, the colors work best on light colored hair. If you already have naturally light hair, then you won't need to lighten or bleach your hair. But if you have dark hair such as light brown to black hair, you'd definitely need to lighten or bleach your hair, depending on how bright you want the colors to be. Before you start applying the dye, you'd have to do two tests: the Strand Test and the Patch Test. The Strand Test is to see how the colors will turn out on your hair. Because each hair is different, the colors may not look exactly like the colors on the Arctic Fox bottles. They will vary depending on your hair color, the condition of your hair, as well as your application. The Patch Test is to see if you have any allergic reactions to the dye. If you have rashes or any irritations, then it's best you don't use the dye. You'd need to shampoo your hair to get rid of dust and grease. Do not use conditioner. Apply the dye on a small portion of your hair - an inch of a few strands will do. Apply the dye, cover with tin foil, wait for 30 minutes or more, then rinse hair thoroughly with tepid water. You will then see the results of the dye on your hair. Apply a thin coat of the dye to a small area of your skin behind your ear or the inner fold of your elbow. Let dry and leave the dye undisturbed for 24 hours. If you do not see any signs of irritation, then you can use the dye on your hair. 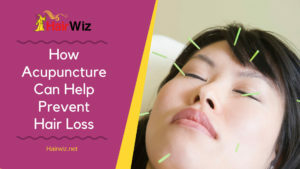 The Strand Test is optional but the Patch Test is a must since you wouldn't want to have a major allergic reaction to the dye once it's applied all over your head and hair. Step 1: Shampoo your hair to get rid of dirt and grease. Do not use conditioner. Step 2: Apply coconut oil or petroleum jelly on your hairline. This step is optional and only needed when you don't want to stain your skin beyond your hairline. Step 3: Wear protective gloves and pour dye in a bowl. Step 4: Section your hair so it's easier to apply dye. Apply color evenly with a color brush, starting at the roots of your hair, and working your way down to the roots. Step 5: Cover your hair with a plastic cap and leave on for at least 30 minutes. Since Arctic Fox does not contain harsh chemicals, you can leave the dye on for as long as you want, even up to 5 hours. It also contains conditioner so it's gentle on your hair and even moisturizes your strands. Step 6: Rinse hair in tepid water until the water runs clear. For your first rinse, do not use shampoo. Simply use cold water and let it run through your hair. It is recommended that you use freezing cold water as it closes up your cuticles and helps to let the color stay. After you've dyed your hair, you can take your dye and mix it with your shampoo and conditioner so you can revive the color of your hair a little bit when you shampoo or condition. Who is Arctic Fox Hair Dye Good For? Arctic Fox Hair Dye can be used by both men and women. And because it's made of 100% vegan ingredients, it's also safe to use on children, and even pets. 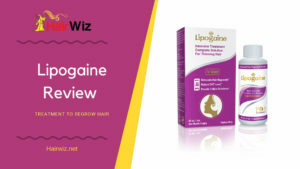 It's also safe to use on pregnant women since there are no chemical ingredients used, and no side effects have been reported. But it's always safe to consult your doctor first, if you plan to use the dye if you're currently pregnant or breastfeeding. 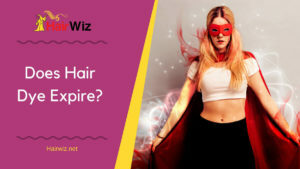 Colored hair has been a craze for some time now and more and more people, both men and women, are dyeing their hair in different bright colors. There are plenty of choices in the market but the movement to using friendly ingredients that are gentle on the hair have caused many companies to offer safer hair dyes in the market. Arctic Fox was made specifically for this niche market and it's become one of the top names in the industry today. It's one of the fastest growing brands because of its many qualities that make it safer than most brands, it's easier to apply, and the colors they offer are some of, if not, the most vibrant and bright in the market. This is Arctic Fox's red offering, creating a bloody red color rather than giving your strands only a hint of red when hit by proper lighting. The color is extremely bright red but if you have dark hair, then you'd definitely have to lighten your hair. An orange fruit's color is dull compared to Arctic Fox's Sunset Orange color. And even when it fades out from washing, it still has a beautiful vibrant color that won't make you look like you're in between coloring your hair. If you've ever wanted to have highlighter-yellow hair, then Arctic Fox's Cosmic Sunshine will definitely deliver. Neon hair is what it's all about with this shade of yellow, making heads turn wherever you go. One of the more popular hair colors today is blue, and this Arctic Fox version is definitely one of the brightest you can find. Of course, you'd need to have very light hair to achieve its most saturated hue but if you have light brown to medium brown hair, you'll get a beautiful blue/green color that's still on the bright color spectrum. Contrary to its name, this hair color is not violet, but a warm purple color. But if you don't use it right or if you don't lighten your hair, some users have reported to getting orangey shades, especially if they blend it with other hues. Some users have also reported their hair turning pink as it fades from washing. Arctic Fox's offering for anime green hair, this color is a vibrant darker green color. One of the most important questions to ask is how long the colors stay on your hair. And of course, it depends on a lot of factors, such as the condition of your hair, what color it is when you applied the dye, and how you treat your hair after you've colored it. Ideally, the color will last from 4 to 8 weeks, but unlike other hair dyes offering bright colors, Arctic Fox has made their colors in a way that even after several weeks of washing, you won't have that dull, pastel color that looks like you desperately need to hit the salon to have it colored again. The company has made their colors in such a way that even when they fade, they're still a bright color, only a few shades from its most vibrant, vivid hue. The Brightest Colors in the Market - Arctic Fox is not for the shy individuals. The colors are loud, bright, and vibrant - the kind that gets heads turning on the street. Easy to Apply - You don't need to mix it with anything at all. The dye itself is applied on your hair. Doesn't Stain Fabrics - Users have reported that Arctic Fox dyes do not stain their pillows once they've slept on them, unlike most dyes in the market. Doesn't Color Scalp - Most dyes color your scalp and no matter how much you shampoo, your scalp still retains the color. Arctic Fox doesn't color your scalp, so you can style your hair whatever you want, with the parts showing your scalp color and not your hair color. Safe and Cruelty-Free - Made of 100% vegan ingredients, you know there are no harsh chemicals used on the dye. So if you've ever wanted to dye your kid's hair or your pet's hair, Arctic Fox is the brand to use. Won't Damage Hair - If you want to take advantage of its brightest shades, then it's completely safe to leave the dye on your hair for hours on end without having to worry if you're going to end up with fried and brittle hair after. It contains conditioner so leaving it longer actually helps to moisturizer your hair, too. Stains Skin - If you use your hands to dye your hair, then your hands will stain. But it's nothing rubbing alcohol can't remove. You'd also need to put petroleum jelly on your hairline so it won't stain your face and neck. The Colors are Too Bright for Some People - You can dilute the colors to make them less vibrant but you'd need to do a lot of experimenting before you can achieve a lighter color. There have been no side effects reported with Arctic Fox hair dye but since the product is relatively new, only 4 years old, information on its long-term effects is not yet available. Some users may have allergic reactions to the vegan ingredients but a Patch Test is explicitly stated to be done before using the dye so it's highly important that you do it. Arctic Fox Hair Dye was made by someone who was looking for a product that was cruelty-free and 100% vegan, but couldn't really find anything in the market that offered the colors that she wanted, so she made the products herself. Compared to a large company that only jumps on the bandwagon on what's trendy, Arctic Fox has a very personal and intimate story line that ensures the safety and benefits of its users, as well as the welfare of animals in general. If you're an animal lover and love coloring your hair, then no other brand in the market is more fitting for you than Arctic Fox. In terms of the product's effectiveness, Arctic Fox is definitely the hair dye to use if you want to have bright, colored hair. Even if you have dark hair, your hair will capture that dye, although not its ultimate vibrancy. 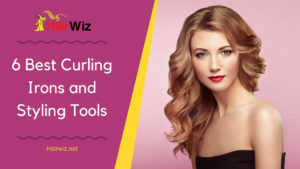 It makes it convenient to use for those who have lighter hair since you won't have to bleach your hair beforehand, which is extremely damaging. But if you have dark hair and you want to get the full vibrancy of the colors, then you'd have to lighten or even bleach your hair, just like if you use any other hair dye in the market. Overall, Arctic Fox is a great dye for those who want a gentler and safer option to color your hair in a solid, bright, color.